The alternate title to this post could really be "Lessons Learned From Shoulder Surgery." You see, it's been a long journey. I'd like to start by saying that if you tell me you don't judge others we all know you are lying. Like a rug. It's as natural as breathing for all of us. It is much easier to see the imperfections in other people's lives, isn't it? As mothers, we judge the parenting strategies we see. As wives, we judge the state of others' marriages. 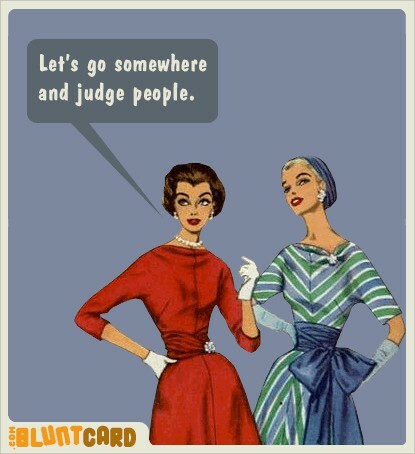 As friends, we judge it all. And what kind of friend does that make us? because each person knows only their own pain and renunciation. but it's another to think that yours is the only path. Having a son on the autism spectrum has often made me feel like a mom under the microscope. His inability to blend in stood out at every turn. His meltdowns brought looks our way that showed disapproval over our parenting. You might be surprised at how many people thought I could spank the behavior out of him. They didn't live my life and they didn't know. Having another son who pooped his pants daily until almost eight years old brought on a whole new scene. Did you know you can't spank that out of them either? There is very little sympathy for shadooby dropping out there. I bet you didn't know that. Everyone else was able to potty train their kids... what's wrong with you? My own circumstances have given me more compassion than I might have otherwise had. When I hear you tell stories about "that kid" in your child's classroom, I immediately think there is more to the story. "That kid" might have special circumstances of their own. If they don't, it's not my business. If it interferes with my child, it is my job to discreetly work with the teacher or parent to find a solution. You begin to develop a thick skin. Then it gets even more personal. During my recovery from shoulder surgery, I have learned that every single person I know has had - or knows someone who has had - a shoulder surgery called "rotator cuff." These people have miraculously recovered in record time without the help of pain medication. I, on the other hand, spent most of 2011 unable to lift my arm past the 90 degree mark. After hearing my progress, or lack thereof, these well-wishers began cruising down one of two paths. Some would ask if I had been doing my therapy daily. But the path most traveled was by those who would brag on how successful they were in their own recovery. It never occurred to any of them that my surgery may have been different from theirs. Not even when I tried to explain it. And what good comes from it? I'm making a commitment to shut it down. When I feel like I know better, I'm going to remind myself that I can't possibly know the whole story. What you experience is unique to you. And most importantly, if I spend my time and energy judging others, I lose focus on God's purpose for my life. Loving others. you have no time to love them. Let's stop pointing fingers and start lifting each other up.